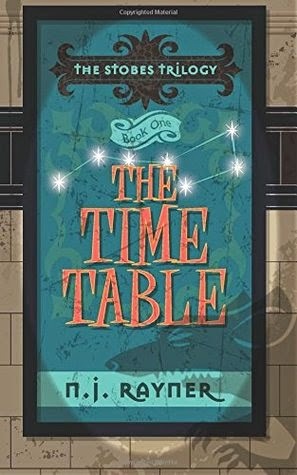 "The Time Table," the first book in the Stobes Trilogy, is an imaginative story about the strange creatures that inhabit the abandoned areas of the London underground. When the creatures discover a mysterious, powerful stone table, a struggle ensues for control. The creatures are fun and have great names, my favorite being Fligboge. The author, N.J. Rayner, does an excellent job of pacing the plot, revealing just the right amount of info at the right time. The writing really immerses you in this underground world with strange creatures. One of Rayner's strengths is in his ability to write from different perspectives. You get to read from the perspective of a number of characters above and underground, giving you the full picture of the situation. This is a must-read for anyone who enjoys imaginative, whimsical stories with exciting characters.